Craig Hopkins, author of Stevie Ray Vaughan – Day by Day, Night after Night, talks with Rick Holter of KERA News about Vaughan and his recent induction into the Rock ‘n’ Roll Hall of Fame! In a day-by-day format, Craig Hopkins presents an award-winning and unprecedented celebration of Vaughan’s life and music. His Early Years, 1954-1982, the first volume in this set, covers the complete history of the guitar legend’s roots, from his childhood to the eve of his first major record release. The book features rare and intimate photographs from Vaughan’s youth and early days as a budding musician, details about his earliest gigs and unreleased recordings, and a personnel list of his twenty-odd bands over the course of his twenty-five-year career. 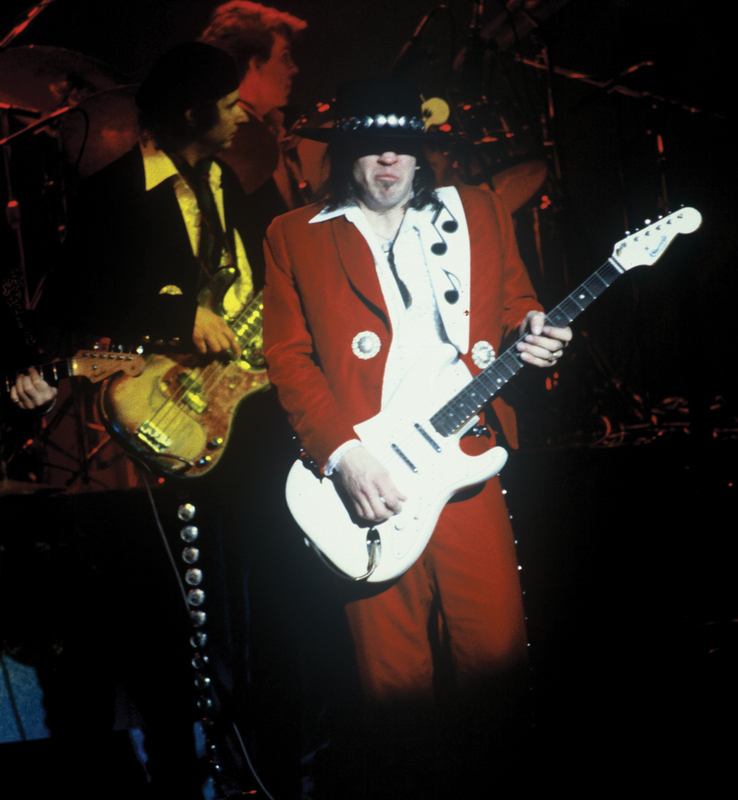 The second volume, His Final Years, 1983-1990, covers Stevie Ray Vaughan and Double Trouble’s recording career, from their debut release and their performance at Carnegie Hall through their rise to international stardom. Filled with hundreds of photographs and packed with incredible detail, the book takes readers moment by moment through the exciting and sometimes controversial journey to Vaughan’s worldwide success. In addition, the second volume features a special section on Vaughan’s guitars and equipment. Hopkins also documents Vaughan’s ongoing legacy up to the present day. Day by Day, Night After Night tells Vaughan’s story from birth to the abrupt and tragic end of his bustling career in 1990, when at the age of thirty-five, only four years into his triumph over the demons of addiction, he died in a helicopter crash minutes after sharing the stage with Eric Clapton and other fellow blues stars. Both volumes are filled with first-hand testimonials from the band members, family, friends and associates who knew him best; stories from the studio and the road; and detailed documentation of tour dates, recordings, broadcasts, publications, collector’s items and more. For fans of this Texas guitar legend and blues music history in general, Stevie Ray Vaughan: Day by Day, Night After Night is the ultimate collector’s item. 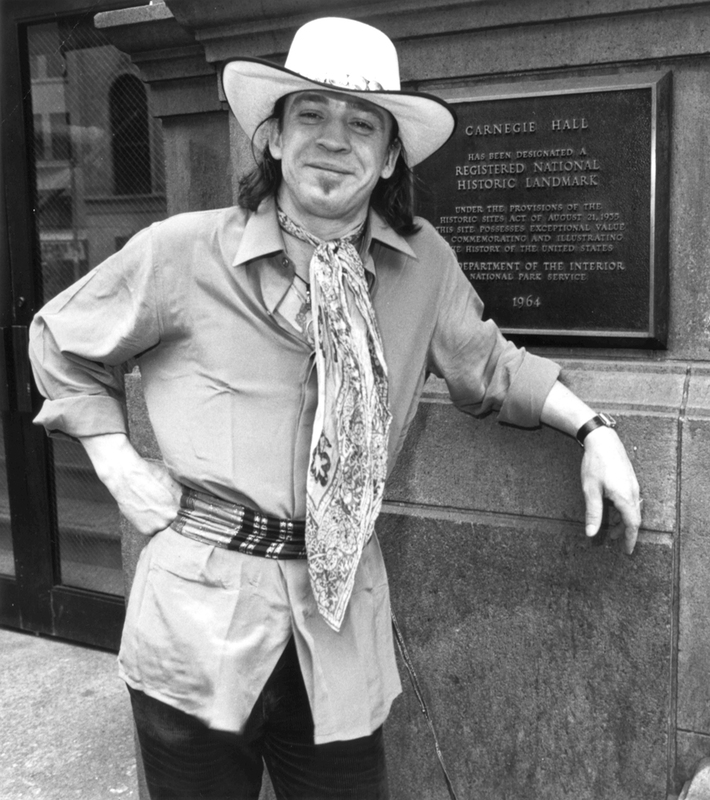 Happy Birthday, Stevie Ray Vaughan! From the first of two volumes, Stevie Ray Vaughan – Day by Day, Night after Night: The Early Years, by Craig Hopkins: a series of early first impressions and fond memories for Stevie’s birthday today. Blackbird keyboard player NOEL DEIS: “Christian [Plicque] brought Stevie over and I thought, ‘This kid sounds like Eric Clapton!” He was a little bit tentative, but he had a darn good sound. He had no equipment. I can’t remember what he dragged over, but it wasn’t much. Stevie went to Kimball and was the outcast kid that was picked on by the local jock population. It is no easy feat to capture the enormous spirit of Stevie Ray Vaughan, a man whose presence in the world was like an untamable fire, shooting flames of raw talent, passion, and innovation. That bright light wrestled with a dark side, an addiction and sadness that threatened to put out the fire forever. His unmatched guitar playing, buttery vocals, and unforgettable songs made him a triple threat. Vaughan is arguably the greatest guitar god who has ever lived – a re-inventor of guitar and the blues. Twenty years after his death, he lives on in the hearts of millions of people around the world. In a day-by-day format, Craig Hopkins presents an unprecedented celebration of this wonderful artist. This book is the first installment of a two-volume account of Vaughan’s life. With this work, Hopkins delivers one of the most detailed biographies of any musician. This edition covers the complete history of Vaughan’s roots, from his childhood to just before his first major release. Filled with testimonials from those who knew him best and from fans everywhere, along with facts about tour dates and recordings, stories about his bands and life on the road, rare artistic and historic photographs, and more, this lavishly illustrated book is the ultimate collector’s item for any Stevie Ray Vaughan fan. The following is an excerpt from Stevie Ray Vaughan–Day by Day, Night After Night by Craig Hopkins. This book is available as separate volumes: His Early Years, 1954-1982 and His Final Years, 1983-1990, as well as together in a deluxe boxed set. 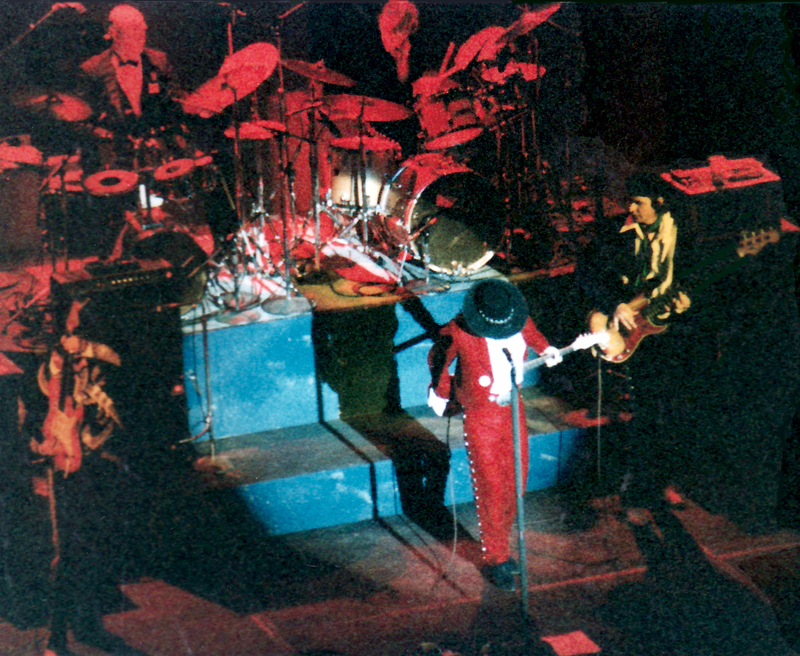 Chesley [Millikin, Stevie’s manager] said Stevie wanted to play Carnegie Hall, and he sold it to Ron Densler in New York as a blues show – the only time Chesley ever presented Stevie as a bluesman. There was a 4:00 p.m. sound check, which was the only practice in Carnegie Hall before the show. Stevie was introduced as “one of the greatest guitar players of all time” by John Hammond, whose loyal support after hearing the Montreux tape included serving as Executive producer of both Texas Flood and Couldn’t Stand the Weather. The show was benefit for the T.J. Martell Foundation’s work in leukemia and cancer research. The 2,200 seats were all sold. Stevie was extremely excited and nervous, saying he didn’t calm down until about halfway through the third song. After the show, MTV threw a private part for the band, record company and other VIPs. It took [Stevie] an hour just to walk from the bar to the table across the room where his parents were sitting. Stevie Ray found his father, a retired asbestos worker who hadn’t taken a plane ride since the Korean War, and hugged him until they both cried.